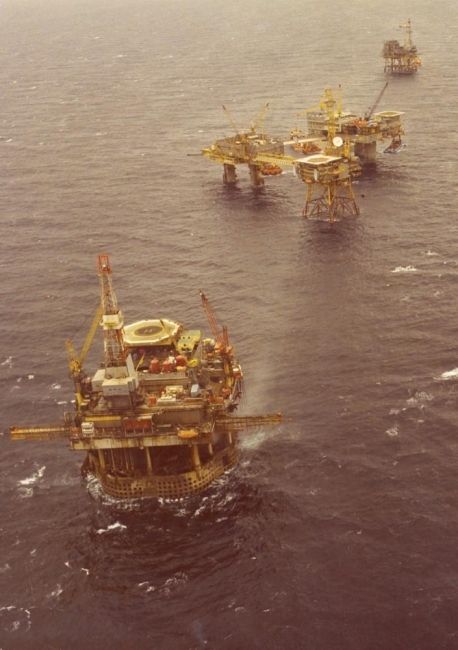 The Frigg Field, the world's largest and deepest offshore gas field when it was discovered in 1971, straddled the Norwegian and British sectors of the North Sea. Our pioneering archive project - shared between both countries - documented 30 years of innovation and activity, and created an important, comprehensive and unique resource. Before exploration licences were granted by Norway in 1969 and the UK in 1970, geologists suspected that there was a large gas field in the area. They were proved right in the summer of 1971 when drilling discovered what was then the largest offshore gas field. The shape of the field led to its nickname, the 'Chinese Butterfly'. Further investigation revealed that 39% of the gas reserves lay on the British side, 61% on the Norwegian. The British and Norwegian companies involved agreed to develop and manage the field as a single entity. The field was operated by Total E&P Norge, Stavanger, Norway. 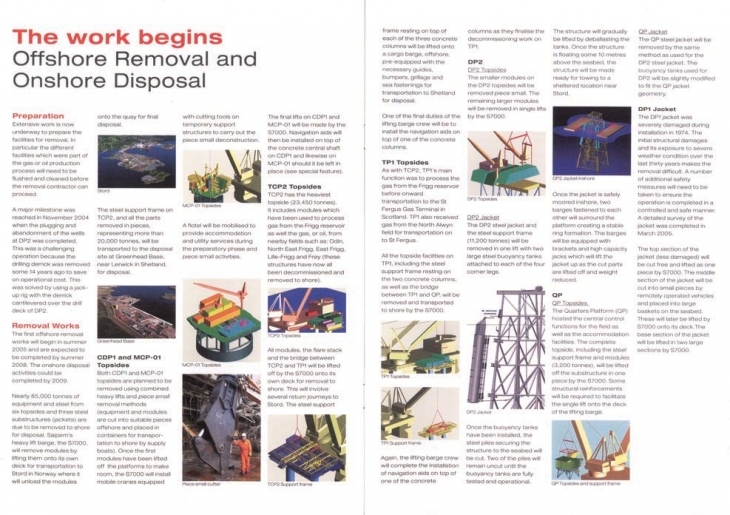 Innovative methods and designs had to be developed in response to the challenges of exploiting what was then the deepest offshore gas field in the notoriously bad weather of the northern North Sea. At its peak, 1800 men were working on the construction of the five installations in the Frigg Field. There were two platforms on the Norwegian side and three on the British side of the border. On the UK side was an accommodation platform for 120 people, a treatment platform and a drilling platform, while the Norwegian side had a drilling platform and a treatment platform. As the Frigg field was operated as a single entity from Stavanger, it was documented by teams from the Norwegian Petroleum Museum, the Stavanger regional office of The National Archives of Norway, and the National Library of Norway. 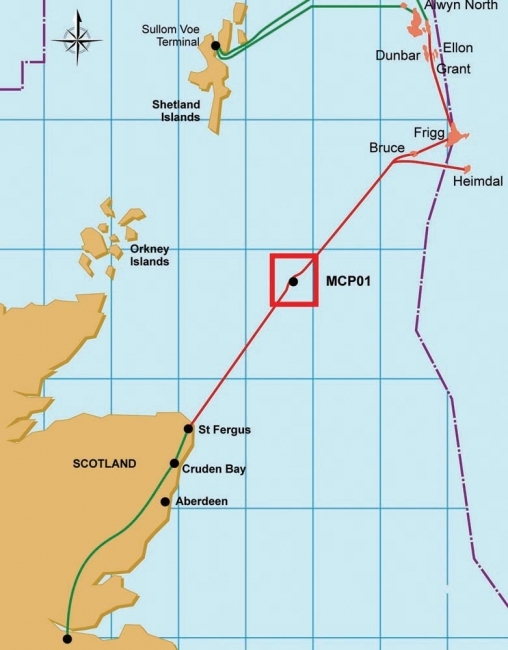 The University of Aberdeen recorded the gas compression platform MCP-01, the initial development phases of the two 32-inch gas pipelines from the Frigg Field, and the St Fergus Gas Terminal in Aberdeenshire. The following pages provide more information about the field, the archive, and an exhibition held to mark the completion of the documentation project. 1. Location map showing MCP-01 and the Frigg Field. The Frigg Field lies 130 miles west of Norway and 220 miles north-east of Scotland in blocks 25/1 (Norwegian waters) and 10/1 (British waters). The field was named after the Norse goddess of fertility. 2. Aerial photograph of the Frigg Field, c. late 1970s (MS 3801/2/4/7). Drilling platform CDP1 is in the foreground and DP2 is furthest from the camera. The platforms grouped in the middle are the two treatment platforms, TP1 and TCP2, and the Quarters Platform QP. 3. Cessation News, Issue 8, 2005 (MS 3801/1/5/2/9). Production ceased in October 2004 after 27 years, having supplied Britain with up to a third of its gas requirements. Decommissioning of the Frigg Field began in 2004, and was to be completed in 2012.